All 78 cards of both the major and minor arcana are used. Before you begin, clear your mind. Refrain from indulging preconceived notions. Formulate your question for the tarot and say it out loud. Which tarot spread would you like? Concentrate on the question that you placed. Choose the spread and deck that interest you. Here are the different spreads pictured once again. How can you predict and interpret using tarot cards? Tarot cards provide true answers for life’s many questions. 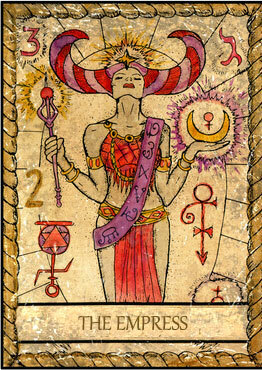 The cards can help with life, decisions, finding your way through difficult situations and self-discovery. 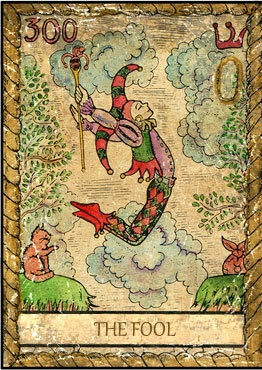 The user leads a dialogue with the cards and with them can become more conscious of their own wishes, fears and hopes. Can the future be influenced? The answer is a resounding YES! But can someone searching for answers via the tarot have a peek at their future? Also a resounding YES, because the tarot cards can help you learn more about your purpose so that you can make your life’s themes clear. Above all else, you will see new paths and recognize if you can use them. Tarot tells the story of a person who sets out, goes the way of a hero and accomplishes great things. The cards show this path. The conclusions traditionally associated with the individual cards resonate with thoughts, feelings and moods. They suggest associations and engage with the body of your experience. The meaning of tarot cards only makes sense in the context of your own experience. There are no hard and fast rules. Words are suddenly found that make sense for something! It isn’t about true or false, but rather coherence and truth. The particular reactions to the cards or the conclusions of the interpreter are more important by far than any other preassigned interpretation. Tarot cards support you regarding your sense of self. They speak to you through the interpreter of the cards. You can do this yourself or have someone else lay and interpret the cards for you. But as always, there is more to see from a distance and only a glance at the whole is possible. The laying of the cards is like a mirror in which you look, perhaps similar to your dreams. These also reflect experiences. Via the cards, you can contact your self and build a bridge between consciousness and unconsciousness. The cards can provide life advice, decision-making help, guidance through difficult situations and keys to self-discovery. 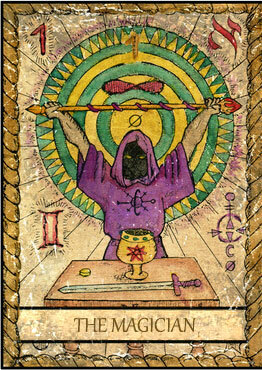 The tarot cards can be used as building material for the associations of those who seek help. Tarot becomes a visual allegory for your own situation. You will immediately recognize coherent conclusions.